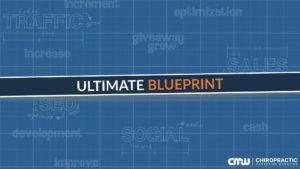 This 2019 chiropractic websites blueprint is the most comprehensive you’ll find anywhere online right now for chiropractors. It is the ultimate guide chiropractors should follow when deciding on what chiropractic website designs to use. It contains over 45 items chiropractic websites should use in 2019 that’ll absolutely help attract new chiropractic patients. In short: if you want better results from your chiropractic website, you’ll love this guide! Just make sure you read it in its entirety to maximize your results. Then download a PDF version to read at a later time. 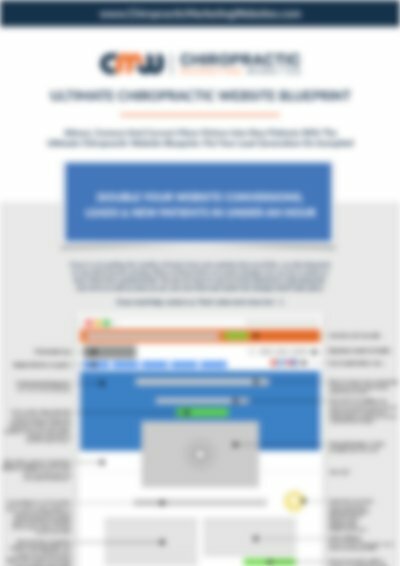 It’s the same Ultimate Chiropractic Website Blueprint we follow when creating custom chiropractic websites for our clients. Today you’ll learn how to attract, connect, and convert more visitors into new chiropractic patient from your chiropractic website. I’ll also show you how to turn your static, boring website into a marketing machine. If you’re not getting the number of leads from your chiropractic website that you’d like, simply use the information you read here to see what may be missing. Many of the items are quick changes you can do in under an hour! Don’t be a perfectionist. You do not have to use all of the elements to have a successful chiropractic website. If you need further help, make sure you contact us. That’s what we’re here for! So what should you focus on in 2019? Tip #1: Include a Hello Bar with an inticing free offer. Tip #2: Use a professional logo. If you need one created, we recommend 99designs. Tip #3: Use a big phone number at the top of your site that is clickable. If your webmaster doesn’t know how to do this, GainTap offers some very simple instructions in this article titled How to Create a Click to Call Link Using HTML and in WordPress. Tip #4: Use a simple effective navigation that leads both prospects and new patients to the most important pages of your chiropractic website. Tip #5: Use social media follow icons that link to the social media accounts you use for your chiropractic business. Tip #6: Steer clear of stock photography and only use professional photography. Tip #7: Use a clear and unique value proposition. For example, we help (your ideal patient) achieve (what they want most). Tip #8: Use keyword-rich heading copy. Setup a free Google Adwords account to do your keyword research or simply look at Google Suggest and related searches when you browse search engines. Tip #9: Place your call to action above the fold. Using first person can help increase conversions. Examples: “Schedule My Appointment” or “Yes, send it to me!”. Including the word “free” works well, too. Tip #10: Use an interesting image or video partially above the fold. Tip #11: Make sure your visitors can answer the following two questions without scrolling below the fold. Tip #12: Use a compelling H1 or H2 headline. When it comes to writing headlines, it’s important you include at least one keyword and format them properly using H1, H2, or H3 tags to tell Google what your page is about so they can send you more traffic. Tip #13: Use some form of promo. For example, same day appointment, satisfaction guaranteed, new patient special, wellness coupon, massage coupon, weight loss promotion. Tip #14: Use internal linking. For example, be sure you link to other pages on your site for extra link juice (SEO). Tip #15: Use keyword-rich, compelling patient-attracting body copy. Include at least 300-500 words of benefit-driven, keyword-rich copy that tells the search engines what your page is about and make visitors feel like you’re reading their mind. You’ll have a better chance of attracting visitors through search if you have a good amount of copy on your homepage so don’t forget this important step! Tip #16: Include secondary calls to action in a contrasting color. Never leave your visitors wondering what to do next. Add a call to action in each section of your chiropractic website. Tip #17: Use keyword-rich services with benefit-driven copy. Instead of talking about yourself and what you do try spinning your language to talk about your customers. Tip #18: Use testimonials or reviews for trust and credibility. Google reviews will also help you attract more ideal patients. Tip #19: Use hidden tracking elements. Make sure you have the proper tracking code installed like Google Analytics or Facebook Pixel. Tip #20: Use patient-centric case studies. When you say something about yourself, it’s marketing fluff but when someone else says it about you, it’s powerful. Invest in doing video or written case studies and watch both your patients and profits increase. Tip #21: Use opt-in forms to receive your irresistible lead magnet. 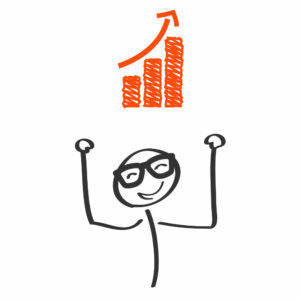 Highlight a case study by showing transformational results you helped a patient achieve. Just make sure you use an opt-in form with the case study as the lead magnet so that you can capture consistent leads into your sales funnel. Tip #22: Tell your story and your big WHY. Tip #23: Build your personal brand into your business. Tip #24: Use a professional photo of yourself to help build credibility. Tip #25: Remember to include your keyword in your image ALT tag. Tip #26: Use secondary call to actions that stimulate visitors to take the logical next step to draw them into your sales funnel. Tip #27: Always use compelling headlines throughout your site. 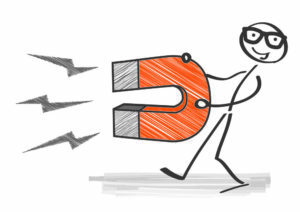 Tip #28: Use irresistible lead magnets which offer incredible value and can be rapidly consumed. Tip #29: Use 3 key benefits via bullet points below your compelling headlines. Tip #30: Use a simple opt-in with just 1-2 form fields mimimum. Tip #31: Use a value-driven call to action with the simple opt-in. Tip #32: Use a live chat feature to increase leads even more. Tip #33: Use featured-in or partner logos for added trust and credibility. Tip #34: Have your footer navigation to show all pages on-site for better navigation and visibility. Tip #35: Use a quick contact form in the footer. Set footer navigation to show on most pages of your site for better usability. Include a contact form next to your location, hours, and Google Maps location. Tip #36: Make sure your map and location data are embedded in the footer. Enjoy more web traffic from Google when you include your name, address, phone number, hours, and Google Map. Tip #37: Last but certainly not least, make sure you show your copyright information and any other legal information below the footer. I realize that’s a ton of information and don’t expect you to implement them all. Nevertheless, I highly encourage you to take action now by implementing at least one. Would getting up to three times the number of leads you currently get now help your bottom line? You better believe it will! Chiropractic websites are living, breathing things that need to be nurtured consistently or they die. Most of these changes can be completed in under an hour. So schedule a regular time each week to implement them and start seeing results today! ▪	What action do you want visitors to take? PRO BONUS TIP: Create your chiropractic website for conversion by setting up landing pages, conversion funnels and drip email campaigns BEFORE you spend money on driving traffic through Facebook, Instagram, or Google ads. Dr. Patrick MacNamara helps chiropractors double, triple, and even quadruple new patients in 90 days or less without tech overwhelm and without spending a lot on advertising. CLICK HERE to see how we do it.